Tess Gerritsen (creator of Rizzoli & Isles) will join us for an evening at the Library's Viridian Event Center! Tess will read from and sign her new mystery novel, Die Again. The latest enthralling case in Tess Gerritsen's New York Times bestselling Rizzoli & Isles series, the blockbuster books behind the smash hit TNT series. Boston Detective Jane Rizzoli is on the case of a big game hunter found dead in his apartment, alone with the body of a beautiful white snow leopard he had recently been commissioned to procure and stuff for a high-profile museum in the area. Medical examiner Maura Isles connects the case to a number of seemingly unrelated deaths where the victims have all been found hanging upside down, the hallmark of a leopard's kill. Rizzoli follows the puzzling trail of clues all the way to Botswana, where she uncovers the unsolved mystery of a deadly camping safari four years prior. When she realizes the two cases are connected, Rizzoli must track down the sole survivor of the tragic trip to discover who - or what - is behind these gruesome deaths. Detective Jane Rizzoli and medical examiner Maura Isles are back—and they’re going into the wild to find a killer. Die Again is the latest heart-pounding thriller in Tess Gerritsen’s New York Times bestselling series, the inspiration behind TNT’s hit show Rizzoli & Isles. When Boston homicide detective Jane Rizzoli and medical examiner Maura Isles are summoned to a crime scene, they find a killing worthy of the most ferocious beast—right down to the claw marks on the corpse. But only the most sinister human hands could have left renowned big-game hunter and taxidermist Leon Gott gruesomely displayed like the once-proud animals whose heads adorn his walls. Did Gott unwittingly awaken a predator more dangerous than any he’s ever hunted? 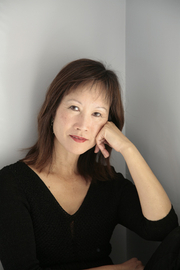 Tess Gerritsen is a physician and an internationally bestselling author. She gained nationwide acclaim for her first novel of medical suspense, the New York Times bestseller Harvest. She is also the author of the bestsellers The Keepsake, The Bone Garden, The Mephisto Club, Vanish, Body Double, The Sinner, The Apprentice, The Surgeon, Life Support, Bloodstream, and Gravity. Tess Gerritsen lives in Maine. Aspiring authors seeking inspiration and instruction are encouraged to register for The La Jolla Writers Conference at the Paradise Point Resort & Spa the weekend of November 2nd through November 4th. Highlighting the event as keynote speakers are authors James Rollins, Tess Gerritsen, and Jacquelyn Mitchard. Agents and editors take part as well as authors. Mysterious Galaxy will be the on-site bookseller. For more information, see the conference's website. After graduating from Stanford University, Tess Gerritsen went on to earn her M.D. from U.C. San Francisco. Call After Midnight, Tess’ first novel, a romantic suspense was published in 1987. Since then Tess has written eight more romantic thrillers and countless medical thrillers. Last to Die is the latest novel in Tess’ best known series, Rizzoli & Isles, which has been adapted by TNT for television, starring Angie Harmon and Sasha Alexander. Tess will also be an instructor at the November La Jolla Writers Conference. Audience members at our in-store event will have a chance to win Rizzoli & Isles merchandise! Please keep in mind that shipping charges for foreign orders on our website are set by the system and are often adjusted down to reflect actual charges. Check out the exciting book trailer for Last to Die. Last to Die is a riveting new installment in New York Times best-selling author Tess Gerritsen's thrilling Rizzoli & Isles series--now in its third season on TNT. Maura Isles learns that Evensong boarding school teaches its students the science and investigative skills needed for a high-level crimefighting career. Meanwhile, Jane Rizzoli investigates the murder of Teddy Clock's foster family while hiding him at Evensong. Tess Gerritsen will sign and discuss the newest Rizzoli and Isles novel, Last to Die (Ballantine; $27). RizzlesCon 2012 is billed as “the ultimate event for all Rizzoli & Isles fans.” The convention will offer attendees a once-in-a-lifetime opportunity to immerse themselves behind the scenes of this hit show. The gathering offers fans of the A&E mystery show and the books the chance to celebrate and share their passion for all things Rizzles. Confirmed guests to date include R&I creator Tess Gerritsen, as well as Sasha Alexander (Maura Isles), Lorraine Bracco (Angela Rizzoli), Brian Goodman (Lieutenant Sean Cavanaugh), Michael Massee (Charles Hoyt) plus series creator Janet Tamaro. Mysterious Galaxy will have Tess’ books in the vendor’s room. Tess Gerritsen reads from The Silent Girl. Tess Gerritsen left a successful practice as an internist to raise her children and concentrate on her writing. She gained nationwide acclaim for her first novel of suspense, the 1996 New York Times bestseller Harvest. Subsequently, she wrote three bestselling medical thrillers, Life Support (1997), Bloodstream (1998), and Gravity (1999). Her first crime thriller, The Surgeon (2001) introduced the character of homicide detective Jane Rizzoli, who then became the focus of a series of novels that paired her with medical examiner Dr. Maura Isles. The books were adapted into the television series Rizzoli & Isles. Tess Gerritsen's book Playing with Fire was available from LibraryThing Early Reviewers. Tess Gerritsen's book Die Again was available from LibraryThing Early Reviewers. Tess Gerritsen's book The Silent Girl was available from LibraryThing Early Reviewers. Tess Gerritsen's book Ice Cold was available from LibraryThing Early Reviewers. Tess Gerritsen is currently considered a "single author." If one or more works are by a distinct, homonymous authors, go ahead and split the author. Tess Gerritsen is composed of 12 names. You can examine and separate out names.